ParkCloud has partnered with Peel Airports Limited to market the official on-site airport parking at Liverpool John Lennon Airport and Robin Hood Doncaster Airport. 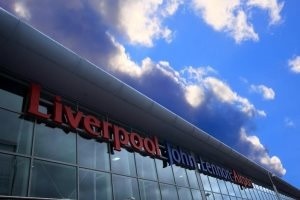 Liverpool John Lennon Airport is one of the UK's fastest growing regional airports with flights to over 60 destinations and handled over 5.3 million passengers in 2011. Robin Hood Doncaster Airport offers flights to over 30 destinations and handled 840,000 passengers in 2011. Together, these two airports offer almost 12,000 on-site airport car parking spaces. Customers are assured of vehicle security, with the car parks featuring automatic barriers using automatic number-plate recognition (ANPR), which records the entry and exit of each vehicle and validates this with the car park booking. ParkCloud marketing will initially focus around WizzParking.com, the parking portal developed for Wizz Air by ParkCloud. To maximise customer choice, ParkCloud is currently marketing four different car parking options at Liverpool John Lennon Airport and three different car parking options at Robin Hood Doncaster Airport. These car parking options cater for business or social travellers, passengers travelling for short or long duration, those needing flexibility around departure and return dates, those needing ease, convenience and closeness to the terminal, those with little time for check-in or boarding and for individuals or groups. ParkCloud markets car parking options by highlighting their unique selling points (USPs), ensuring that customers can easily choose the car park that meets their needs. As well as highlighting the USPs in the descriptions, ParkCloud identifies these in instantly-recognisable logos. Premium Flex: Offers the ultimate in convenience at the closest car park to the airport terminal, right next to check-in and is fully flexible. ParkCloud is the trusted partner of many of Europe's leading independent car parks. ParkCloud is also the trusted partner of airport operators, including the world’s largest airport operator Aena, which owns and operates 47 airports. Particularly among its airport partners, ParkCloud is known for focusing on results and exceeding expectations when growing revenue, building a brand and enhancing operational performance. ParkCloud can offer a full marketing and web solution for car parks of any size.